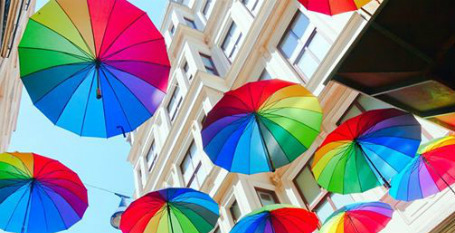 The L.GBT Corporate Canadian Index (LGBT CCI) was launched this week to identify corporations listed on the S&P/TSX Composite Index that are welcoming and promoting LGBT equality. Inclusion in the LGBT CCI requires the completion and submission of the LGBT CCI 2016 Survey and is subject to a minimum pass-grade questionnaire-based scoring system. Sun Life Financial Inc. and Manitoba Telecom Services Inc. topped the inaugural league with perfect scores. “It's very encouraging to see that corporations included in LGBT CCI represent a wide spectrum of industries and sectors, ranging from financial services and communication services to aerospace defense, consumer cyclical, industrial products and many more," said Alexis Klein, Founder, LGBT CCI. Slowly but surely ... the 'ripple' will become a 'wave' that will gently sweep away the negativity that some communities have towards us.